Before Cesar Chavez, there was Ernesto Galarza to lead the seemingly endless struggle to bring economic and social justice to America’s Mexican-American farm workers. But even many who have followed the struggle may have forgotten Galarza, who died in San Jose a quarter-century ago. I haven’t forgotten. I still vividly recall talking with Galarza shortly after he announced his retirement in 1978. I couldn’t believe it, couldn’t believe he was actually abandoning his extraordinary lifelong crusade in behalf of farm workers and Mexican-Americans generally. We were on the telephone. “Ernesto! You’re kidding!’ I damn near shouted, much as Galarza had often shouted to me over the phone when I had to explain that while I was quite sympathetic to his cause, the newspaper I worked for – the San Francisco Chronicle – was not particularly sympathetic. In any case, as I told him repeatedly, my paper was not interested in reporting every one of his many examples of the poor treatment of farm workers and what he thought must be done – right now! – to overcome their mistreatment. Galarza never accepted that, never eased his demands for thorough newspaper coverage of each of the many injustices he uncovered, particularly those involving the federal bracero program, which enabled U.S. growers, with government assistance, to import masses of penniless, undemanding Mexicans to replace U.S. workers who struck or otherwise demanded better treatment. In 1950, for instance, Galarza led a strike of several thousand tomato pickers in the Stockton area who sought an increase in their poverty-level pay, only to have them replaced by some 2,000 braceros who were escorted across the picket lines by deputy sheriffs and state highway patrolmen. Retiring? Yes, Galarza’s shining black hair and thick bushy eyebrows had turned an unruly white. His sharp features had softened. His once fierce penetrating glare had softened. And the words he once shot out in sharp, intense indignity now flowed at a soft, slow, almost melodious pace. It was impossible to believe nonetheless. But Ernesto Galarza insisted. He was indeed retiring from his long struggle to wrest economic and social justice for Mexican Americans from the growers and other Anglos who ran American society. By Galarza’s own account there was still very much to be done, and the new wave of activists led by Cesar Chavez and other leaders and followers of the United Farm Workers needed every bit of help they could muster. But at age 72, Galarza was in effect worn out. He had decided there would be no more organizing. No more slashing speeches against those who opposed what he thought was right for farm workers and his other fellow Mexican-Americans. No more demanding phone calls to reporters. No more scholarly writing painstakingly documenting his bitter charges and angrily demanding reforms. No more teaching. No more controversy. It would now be up to others to carry on the cause he had helped pioneer and had championed for so many years. Galarza thus silenced what had been one of the loudest and, surely, most unusual of the voices that have been raised to demand fair treatment for the farm worker. He had earned a Ph.D. and had written a half-dozen books on farm labor and social justice, an outstanding autobiography (“Barrio Boy”), a novel, a collection of poems, and numerous pamphlets and articles. 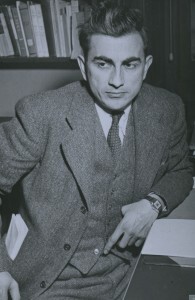 It was work that led to his nomination in 1976 for a Nobel Prize in literature. Galarza had taught at all levels, in elementary schools and at three universities, where he held professorships. 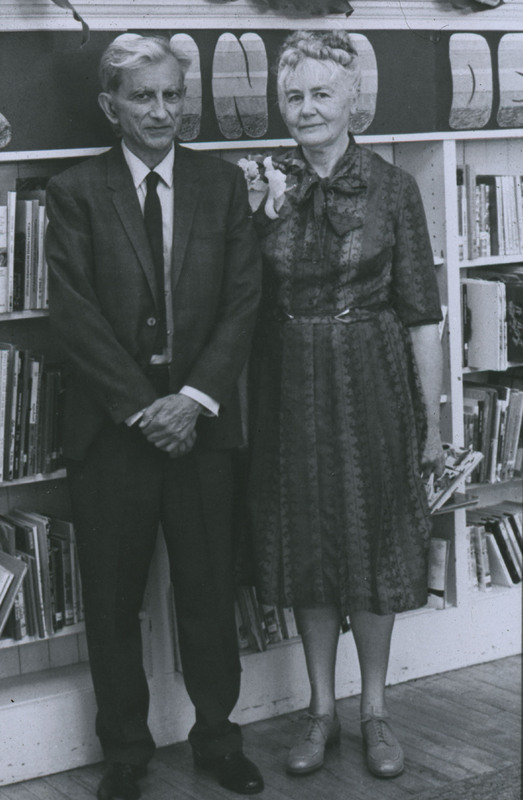 He had worked with his wife Mae, a longtime teacher, to create a pioneering bilingual education program for the San Jose schools that was designed in part to help young Latinos retain their cultural roots as well as adapt to Anglo culture. The program served as a national model, using a series of bilingual textbooks – “mini-libros” – that Galarza and his wife authored. It shouldn’t be forgotten, either, that Galarza was one of the prominent founders of the Chicano movement and of such influential organizations as the Mexican American Legal Defense Fund and National Council of La Raza. Yet Galarza also had been an active and dynamic union organizer, a key leader in laying the groundwork for the emergence in California of the farm labor movement led by Cesar Chavez. Galarza had been drawn to that work as the essential way to overcome the wretched treatment suffered by him and his fellow Mexican-Americans in agriculture as elsewhere. Galarza began organizing farm workers in California in 1948 as research and education director of the American Federation of Labor’s short-lived National Farm Labor Union. Galarza was born in the Mexican state of Jalisco, but had grown up in California, where his family fled during the chaos of the Mexican Revolution of 1910, and had worked on central California farms during summers as a teenager. Young Galarza’s pay was a meager 10 cents an hour with no benefits, no job security, no rights whatsoever. And the conditions in the labor camps where his family and most other workers lived were truly appalling – single communal bathrooms for entire crowded camps, the only running water coming from a single faucet nearby. The crumbling shacks where whole families had to live offered little respite from the searing summer heat. Like all other Mexican-American farm workers, Galarza had no choice except to take what their grower employers offered – or lose their jobs and living quarters to others as desperate as they. With the strong encouragement of his teachers in the Sacramento schools, Galarza left farm work to head off to college on a scholarship and, eventually, to Columbia University for his doctorate in Latin American affairs. After that, he worked 11 years for the Pan American Union in Washington, D.C. – until, characteristically, he became outraged over what he felt was the organization’s acquiescence in the exploitation of Latin American workers by U.S. interests. He resigned to take the AFL labor union position. 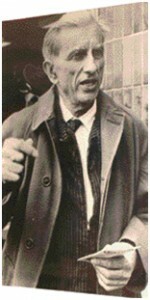 Although primarily an intellectual and scholar whose weapons were words, Galarza initially played an activist’s role with the AFL as the leader of several strikes. But he was completely thwarted by the bracero program and so abandoned the union leader’s weapon of direct economic action for the intellectual’s weapon of words in hopes of killing the program. The battle against the bracero program raged for more than a dozen years, a frustrating and lonely battle for Galarza. He spoke out endlessly, before legislative committees and elsewhere, and issued hundreds of reports thoroughly documenting the abuses of U.S. and Mexican workers alike under the bracero program. His supporters pictured Galarza as a lone, courageous champion of workers’ rights; but his critics described him as a temperamental maverick incapable of the compromises necessary in building an organization. By 1960, in any case, the AFL farm labor union was gone. The labor fakirs had let it die. They provided “no money, no organizers, no support,” Galarza complained. Incredibly frustrated, and near exhaustion, he turned to writing, teaching, scholarly research and work for civil rights organizations. But also by 1960, Galarza’s efforts, including his influential book on the nature of the bracero program , “Merchants of Labor,” had helped rouse an indifferent public and helped mobilize a major lobbying effort in Congress that finally killed the bracero program in 1964. It’s no coincidence that 1964 was the year in which Cesar Chavez began his organizing drive, in tandem with the AFL-CIO’s Agricultural Workers Organizing Committee. For as Galarza had insisted, effective farm worker organizing was indeed impossible as long as the bracero program was available to growers as a powerful anti-union weapon. Galarza traveled widely throughout California to help train young AFL-CIO organizers, but soon broke off from the organizers over their methods. He was not optimistic about the future of the farm labor movement, despite the end of the bracero program. Galarza suggested the same remedy he had suggested three decades earlier: Carefully document the situation and make the general public acutely aware of the abuses of a farm labor system that relies on masses of unorganized, desperate and poverty-stricken immigrants. That assertion would draw strong argument from the many followers and supporters of Cesar Chavez and the United Farm Workers. But Galarza refused to back off from his insistence that his way was the best way – if not the only way – to bring dignity and a decent life to the farm worker. His way, of course, was attempting to win crucial public and political support by uncovering details of worker mistreatment. Galarza never faltered, never wavered in his deeply held and loudly proclaimed beliefs, defending them against all challengers, be they friends or foes. That included orthodox labor leaders who didn’t fully understood his intellectual approach, his belief that words could be as effective as actions. Certainly he never stopped trying to convince me and my fellow reporters of that. “Meister! Galarza here!” He was on the phone again, loudly describing yet another outrage that had been committed against farm workers. As usual, I was expected to do something about it. And if I turned him down, bam went the telephone receiver at Ernesto’s end, and he’d be off to uncover other outrages that had to be reported – had to be! I’d be lying if I didn’t say I sometimes considered Ernesto a pest. A very well- meaning, generally likeable, sincere, honest, committed and knowledgeable pest, but a pest nevertheless. I was not alone among his reportorial targets, of course, but my position on Northern California’s largest daily made me a special target, along with my labor reporting colleagues at the major papers in central and southern California, Ron Taylor of the Fresno Bee and Harry Bernstein of the Los Angeles Times. But whatever our differences with Galarza, however loudly he might shout at us, however demanding he might be, we truly admired him, his integrity and genuine concern for others, his incredible devotion to a cause we all quietly supported, despite our outward pretence of journalistic objectivity. I last saw Ernesto at a gathering of writers at Stanford University just before his retirement. . I must admit I was shocked at his easy, friendly manner, given all the loud arguments we had over many years, all the noisy back and forth between us. But up the staircase of the Stanford Library he bounded toward me, smiling broadly. We exchanged hugs as he chuckled over our past disagreements – “our shouting matches,” as he remembered them. He was actually apologizing. No more were we news source and reporter. We were friends.